From Wilderness to Metropolis Introduction, 2nd Edition, 1992. 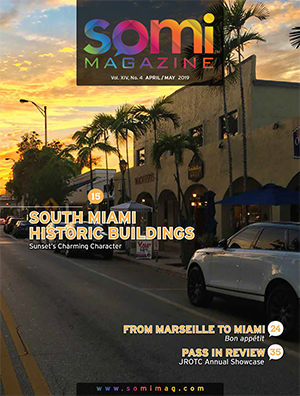 The City of South Miami enjoys a somewhat modest inventory of architecturally and historically significant structures in the shopping and dining district. Thanks to the efforts of concerned City and County citizens, the preservation of structures representing the tastes, styles and concerns of those that came before us survive to provide our city with an identity uniquely its own. 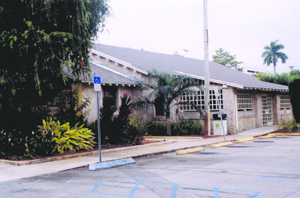 The Sylva Martin Building, located at 6130 Sunset Drive, is the only historically designated structure owned and maintained by the City of South Miami. Initially built as a Community Center in 1936, the venue has variously served as a meeting place for clubs and fraternal organizations, hurricane shelter, polling place, public library (1958-1977), USO-style entertainment center and community center. Today it houses City administrative offices. 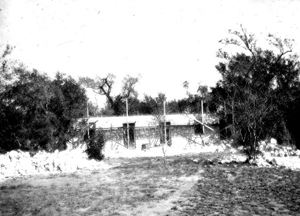 According to Paul U. Tevis (past mayor and councilman), South Miami’s city Council, as it was known, passed Ordinance number 72 dedicating land for a community center early in 1935. The Council sought assistance from the federal government under President Franklin D. Roosevelt’s New Deal Works Progress Administration (WPA) for the construction of the center (Ordinance 73) and appropriated $2,350 for the center’s construction. Their efforts were successful. The cornerstone was laid August 20, 1935, and the Community Building was formally opened on February 3, 1936, to serve South Miami’s 1,160 residents. The WPA (formerly Federal Emergency Relief Administration) was among a number of federal programs established in response to the ravages of the Great Depression to stimulate the economy by creating jobs aimed at getting millions of people back to work. 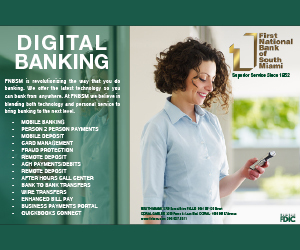 The Miami region benefitted from this program with such projects as the Miami Beach Post Office, Miami Shores Golf Club, Coral Gables Fire Station, Shenandoah Junior High School, Coral Way Elementary School, and an additional building at Jackson Memorial Hospital. 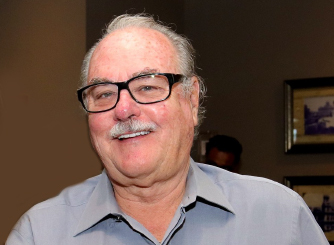 South Miami’s Community Building project tapped into the federal programs concerned with strengthening community through parks and the Federal Art Project. The building was constructed by the government using local materials as much as possible and was embellished with bas reliefs designed and cast by artist, Joan van Breeman. 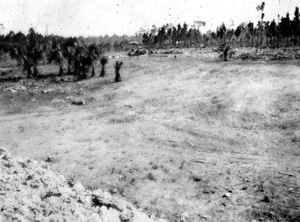 Blurry photographs in the State Archives of Florida show the land being cleared and the partial construction of a building referred to as the “lodge.” Scrub, pines, newly planted cabbage palms, sand and piles of oolitic limestone used in the building’s construction can be seen in the photographs, dated 1935. It is likely that these photos are of the site clearing and community center, but more research is necessary (see No35074 and No35075 online at www.floridamemory.com). The cornerstone-laying ceremony for the building featured a celebration sponsored by the Chamber of Commerce, complete with a baseball game, parade, entertainment by local singing groups, a street dance and inspection of the new fire-fighting equipment (yes, South Miami once had its own volunteer fire department). Opened soon after construction, the facility was later dedicated to long-time City Clerk Sylva Martin. 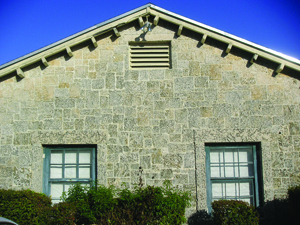 The Sylva Martin Building is a one-story masonry structure, built in a rectangular plan inspired by the simple bungalow. The high-quality stonework is its most notable feature with wall surfaces fashioned from local oolitic limestone, cut and finely laid in irregular courses. Recent inspection of the building strongly suggests that it is not only dressed in limestone but constructed of it as well. There are five bays across the front; a porch bridges three bays. A gable roof covers the main portion of the building with shed roofs over the front and rear porches. Four square piers of oolitic limestone support the front porch roof. The space between the porch piers is in-filled by low oolitic limestone walls, and those at the central entrance bay have cast concrete flower boxes. The front entrance is centrally located and has three doors of vertical wood panels. 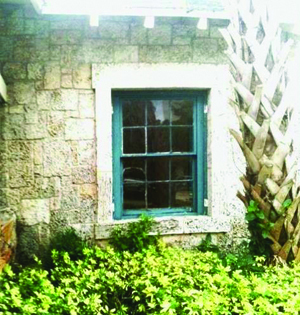 Windows are double-hung sash with wood frames, some with 6-over-6 lights. All windows and doors have slightly projecting stone surrounds. There are slightly projecting stone quoins on all four corners of the building. The original fireplace continues to grace the interior, despite many changes to the inside of the building as it transitioned from gathering place to its current role as government offices. Joan van Breeman, a Florida resident, created a series of bas reliefs for WPA construction projects in southeast Florida and the Florida Keys showing children engaged in recreational activities. Entitled “Children at Play,” this series of artwork was placed in over 120 libraries, public schools and public buildings. The Sylva Martin Building has two such bas relief cast panels above the central doorway. The series of reliefs has a plaster of Paris finish, white in color and with the same depth of surface carving. Most measure about 48” x 34”. The extant examples were designed for the interiors of buildings, yet it appears South Miami’s pieces were mounted on the exterior, seemingly protected by the porch roof. Yet dirt and some losses are evident. Sylva Martin’s parents, Sigmund (a Milwaukee surgeon) and Louise Graenicher, came to Larkins in 1916, clearing land for their home on a ten-acre site near Sunset Drive and Ludlam. Period photographs chronicle a South Miami with tall pines and scrub as far as the eye can see, and at the Graenicher home, flocks of chickens. 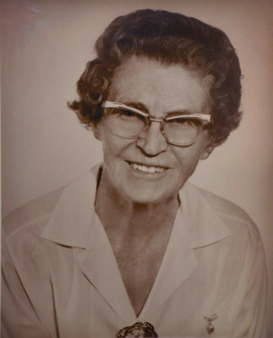 In 1936, Mrs. Martin became South Miami’s first woman city clerk and served in that capacity for more than 20 years, as well as tax assessor, tax collector and clerk of the municipal court. The building received local historic designation on March 17, 1989. 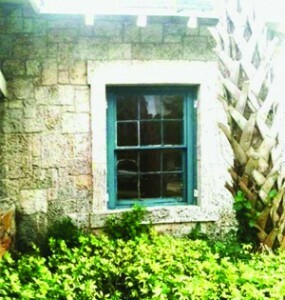 Last year, the Historic Preservation Board and the City administration worked together to consult about the repair of the building’s extant windows (some were permanently removed 586in the past). The windows are currently being properly restored and will be installed in a matter of weeks. The purpose of historic restoration is to retain as much of the original material and design so that the building is properly interpreted. As the only historically designated building within the city’s control, there is an obligation to treating the Sylva Martin Building properly and in accordance with the city’s ordinances regarding historic properties. 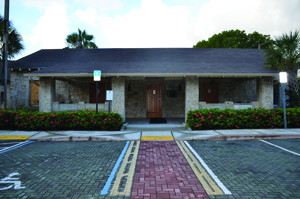 The Sylva Martin Building is located on Sunset Drive adjacent to South Miami City Hall. The building is remarkable for its stonework and large, sweeping roof. The next time you have business to conduct at our government center, take a good look at a public works project that has served this city extremely well through the years.